Oscar's House | Retreat. Relax. Renew. 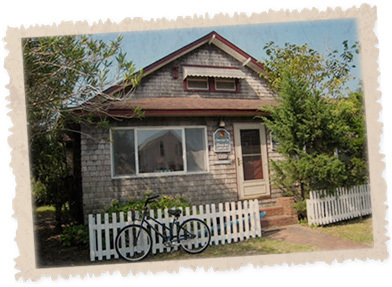 Welcome to Oscar’s House, the oldest Bed and Breakfast on Ocracoke Island. Oscar’s began in 1984 in this comfortable historic house built in 1940 for Capt. Joseph Burrus, Ocracoke’s lighthouse keeper for 16 years. The house is named for Capt. Jos’s son, Oscar. Although this house has been operating as a B&B for 34 years, this will be its first year under new ownership! Please join us, Robin and Chad Macek, in our new adventure! We wanted a big life change and have begun one. Come along as we learn more about the island and the B&B business! We have talents which we hope will help us – creative, fun, people people, who love to cook.